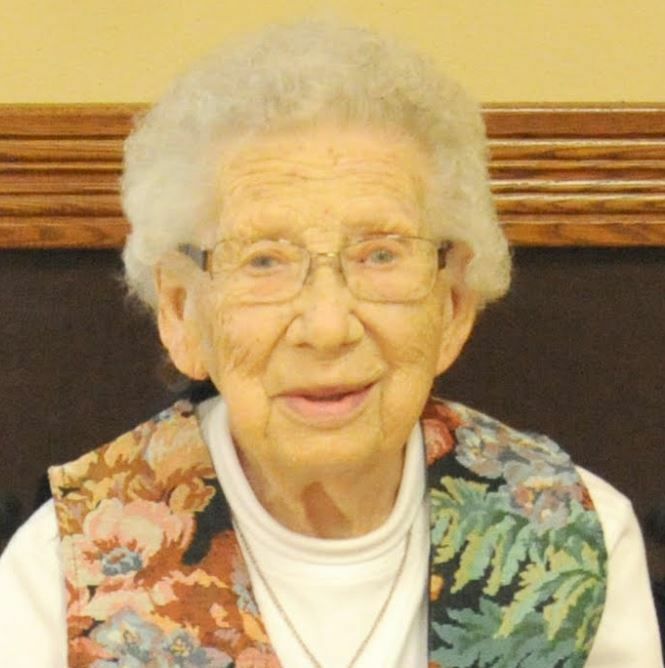 Frieda Anna Feldt, 103, died on March 17, 2019 at the Good Samaritan Society, St. Ansgar. Funeral service will be on Friday, March 22, 2019 at 2:00 PM at St. John's Lutheran Church, Rock Township, with Rev. David Werges and Deacon Elayne Werges officiating. Burial will be in the St. John's Cemetery. Visitation will be one hour prior to service at the church. Schroeder & Sites Funeral Home of St. Ansgar is in charge of arrangements.